Do you want Arsene Wenger to leave? Arsenal boss Arsene Wenger could be spending his final days at Emirates Stadium. FA Cup might keep him for another year. Keep or Sack? Arsenal boss Arsene Wenger could be staying at the club for another year as there is no concrete news regarding his future despite of the poor performances in the recent months. The French boss has revealed that he has not yet decided whether to leave or continue his 20 year reign at the Gunners despite of being a subject of protest in the last few months. Wenger who has the chance to lift FA Cup when they play against Chelsea this month are likely to finish below fourth in the Premier League for the first time under him, they are on sixth spot with six points behind Manchester City. Arsenal are five points behind fifth spot side Manchester United with a game in hand. Plus they will be hosting Man United on the coming Sunday, they can close the gap if the win. After a poor run in the Premier League, the 67-year-old boss told that he hates himself when Arsenal lose, he wants to win every game. Arsenal have not lifted league title since 2004, however, they have lifted FA Cup twice in the last three years. 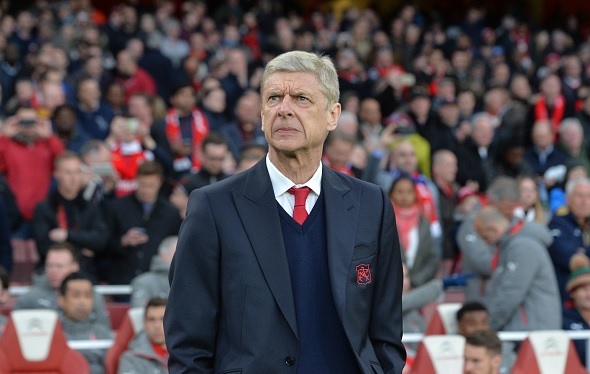 Wenger has shown the dominancy in the domestic cups but is yet to show any positive signs in the major competitions. Do you think he is the right man for Arsenal’s managerial seat for next season?